17th August is a crucial day in the history of the Partition of India. This was the day when millions learnt whether they were in India or Pakistan, two days after Independence, in 1947. 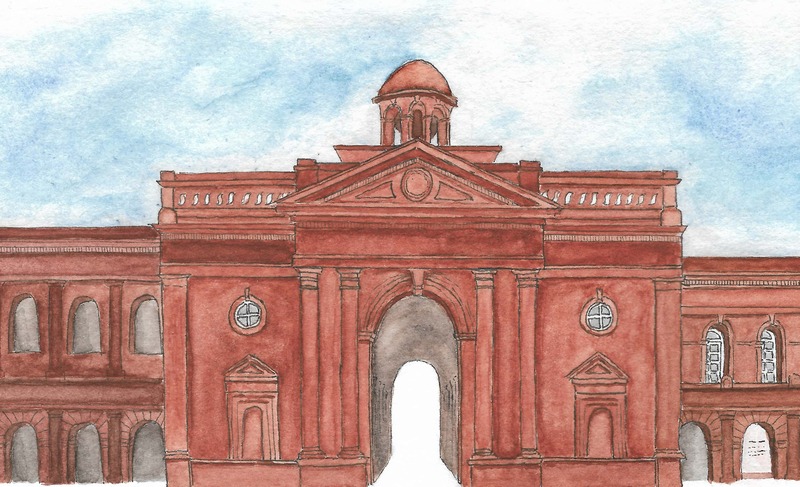 In the 70th year since the Partition of India, we will remember the spirit of those who lost everything and yet helped rebuild the newly independent nation. 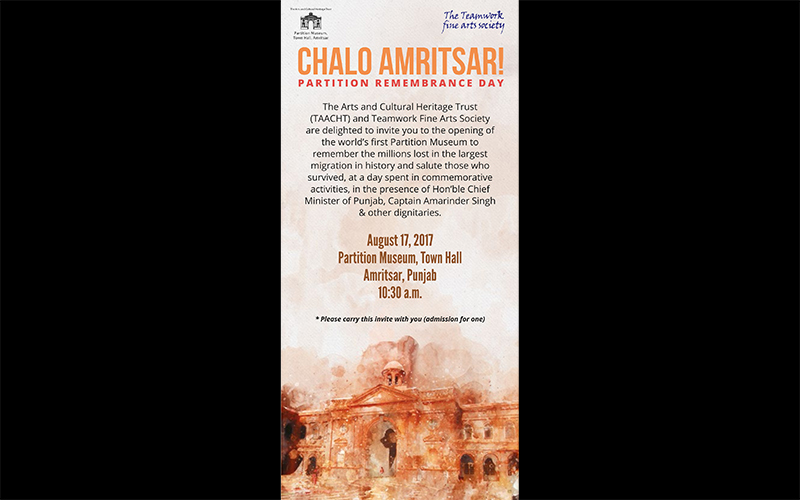 17th August has been recognised as Partition Remembrance Day by the Punjab Government at the request of the Trustees of The Arts And Cultural Heritage Trust, which is setting up the Partition Museum. The historic commemoration programme will be between 9.30 am and 12 pm. The museum will be formally dedicated to the nation by the dignitaries present . This will be followed with discussions between eminent poets, authors, artistes and around 7 pm onwards , Sufi music. So please be with us for the full day on 17th August,Partition Remembrance Day.